As part of our residency in Leeds Art Gallery, Aymee Smith will use the Portable Reading Room as a base for producing a piece based around the City Gallery's collection. She will respond to work on display by producing a 'reading' or story of every room of the gallery, consisting of short narratives, each fitting onto a sheet of A4. These will be readings based not upon the art-historical norms but situating the works within a more literary or imaginative world, and creating a story linking the works within each room - based upon the feeling they evoke, the scenes depicted within them. This will be printed for gallery visitors, as a kind of 'alternative guide', for the rest of the time the portable reading room is installed in the gallery. The role of the translator is an unusual one; we place a great deal of trust in the translators of books, texts and the spoken word, and yet we rarely question their ability to truthfully represent the original. The translator is free to manipulate words as they wish: if they do not feel that a sentence feels ‘right’, then they can change it: but does this then mean that the translation is not true to the original? When reading/hearing a translation, how do we know that it is all it should be? Lady Chatterley’s Lover has been through a course of translations: through five different languages and then back into English, using Google Translate. 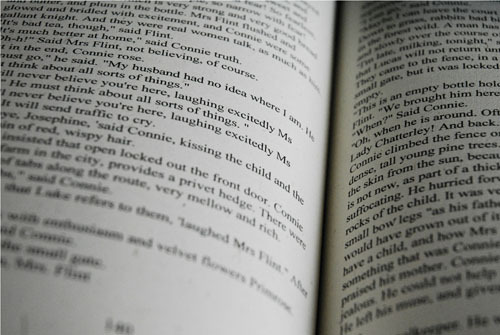 This use of computer translation, where there is no space for human error or manipulation, calls into question the task of the translator: the computer translates word-for-word, and the resulting text, while perhaps a ‘pure’ translation, makes little sense. Perhaps we need the agency of the human translator to make sense of what is being said, to interpret for us, and to provide a version of the original which not only is readable, but also captures the message of the text. 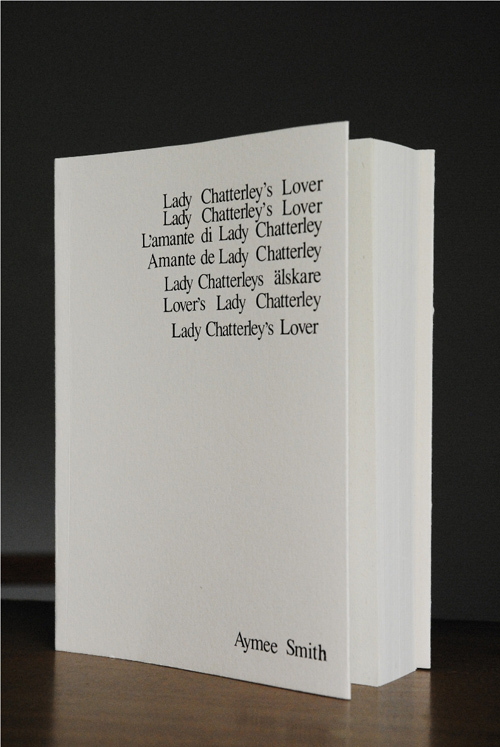 Friday 23rd September , 2.30pm and 4.30pm at The London Art Book Fair 2011 in the Whitechapel Gallery: a dramatised reading of Aymee Smith’s Lady Chatterley’s Lover. Actor and voice coach Richard Hawley tried to bring life, and sense, back into the work. Reading Lady Chatterly's Lover from Wild Pansy Press on Vimeo.